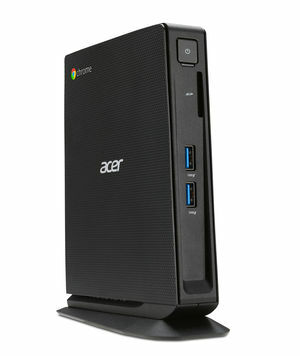 Acer launched their first Chromebox under the CXI series, much to respond to their success in chrome powered devices. The series is designed with students, small businesses, and entry level users in mind. Chromebox is compact and space saving but there is no compromise made in the speed and performance. 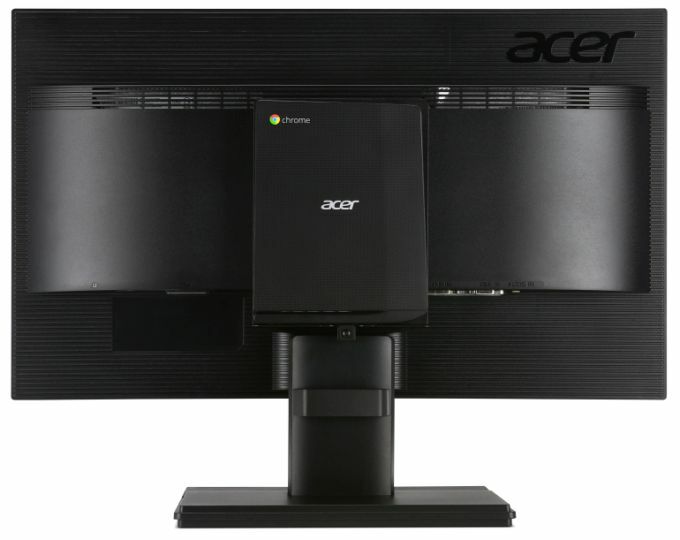 Acer claims it to be a faster Chromebox with 8 seconds of boot time just like their Chromebooks. The Chromebox is more practical to use than Chromebooks as chrome OS need working internet connection, to use almost all browser based apps, and desktops are more likely to be wired all the time. The specifications needed for Chrome OS is minimal and this device is no powerhouse either. The Intel’s Haswell microarchitecture based Celeron 2957U used in this will just do the task along with 4 GB DDR3 RAM and Intel HD graphics. It can run HD videos with ease. We don’t come across a lot of connectivity options in desktops usually, but the Chromebox CXI has Wi-Fi and Bluetooth 4.0 in addition to Gigabit Ethernet. It has four USB 3.0 ports, of which two provide power off charging. It supports microSD card up to 32 GB. There is added security and encryption features with the inclusion of TPM 1.2 chip. 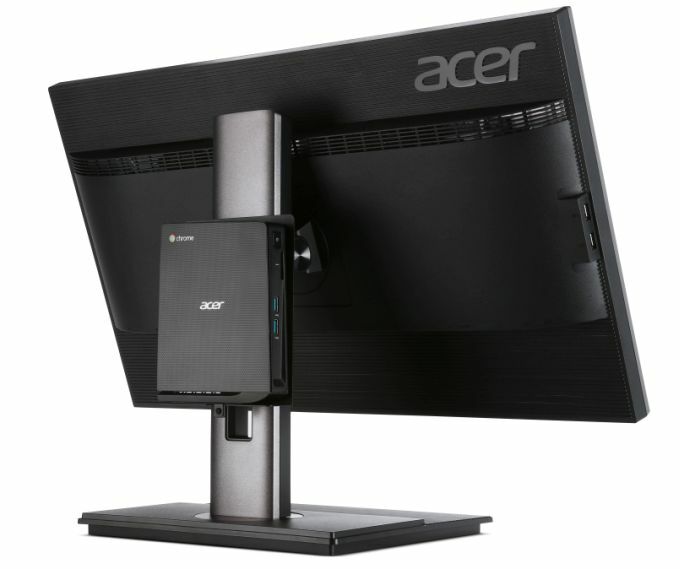 There is no monitor bundled with the Chromebox but up to two displays can be connected to it via HDMI and Display ports. VESA mount kit, Chrome optimized keyboard and mouse also bundled with the Chromebox. The device has only a 16 GB Solid state drive which is too low for a desktop, but it delivers faster boot time and OS experience. For those who want extra storage micro SD is one option but it too is limited to expansion up to 32 GB and going for an external hard drive will be another option. The overall size of the device is less than a liter in volume. And the dimensions are 165.45 x 130.45 x 33.20 mm which makes it easy to mount behind the display by means of VESA mount kit. There are Chromboxes offered by other OEMs in the market as well and it would be great to see All-in-ones in this segment like the one LG offers. The TPM chip gives an edge to this Chromebox compared to the rest. The CPU also is also new but it is not expected to outdo the others. The Chromebox CXI series has two variants which differs in the amount of RAM it has. The 2 GB RAM variant is priced at $180 (US) $199 (Canada) and 4 GB variant at $220(US) $239(Canada). The Chromebox will hit US and Canada by coming September end. Hyundai Cars to be App Controlled !